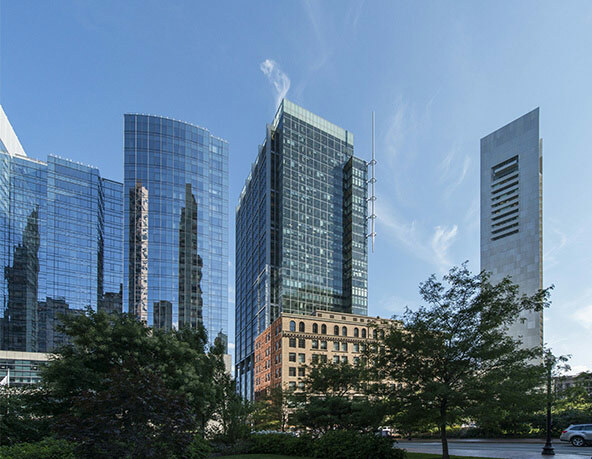 Class A Office High Rise: 1,200,000 square foot development for Boston Properties consisting of Class A office space, 6 levels of below grade parking abutting the ocean, ground level retail and public space, and high end rental units in a painstakingly restored historic structure. The uncommon up/down construction method was utilized to meet the project’s tight schedule requirements. The building’s 15 floor anchor tenant, constructed by Moriarty, is one of the country’s most prestigious financial firms. 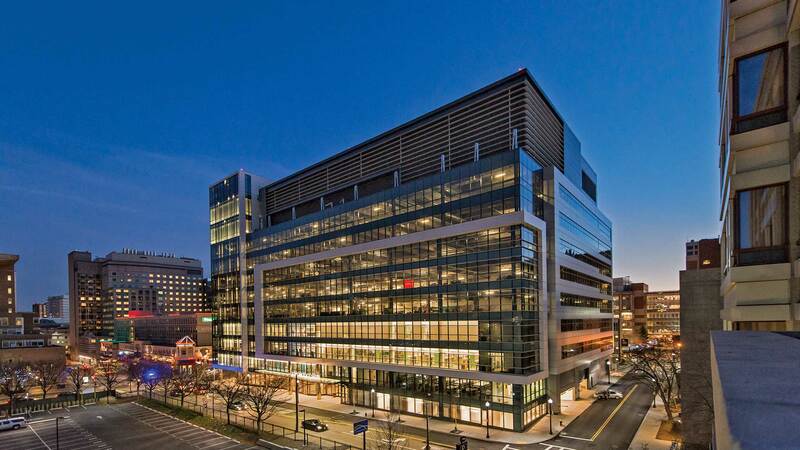 Pharmaceutical Laboratory Research Facility: 600,000 square foot development for MIT Investment Management Co in the heart of Kendall Square with 3 levels of below grade garage and 9 stories of state of the art lab infrastructure inside a terra cotta and custom curtainwall shell supporting a vivarium and biological research facility for Pfizer Inc. Luxury Beachfront Condominium Development: 4,500,000 square foot multi-tower development for The Related Group consisting of three 50+ story towers with 1800 high-end condominium units. 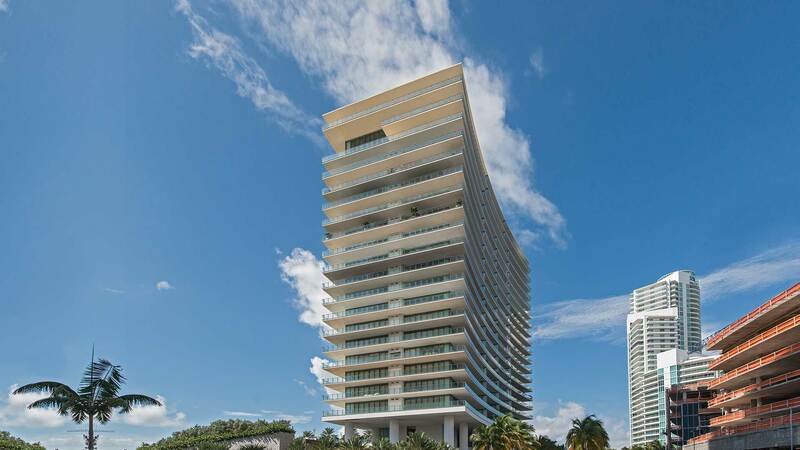 This veritable city on the water includes structured parking and 5-star amenities incorporating Phillipe Stark design. 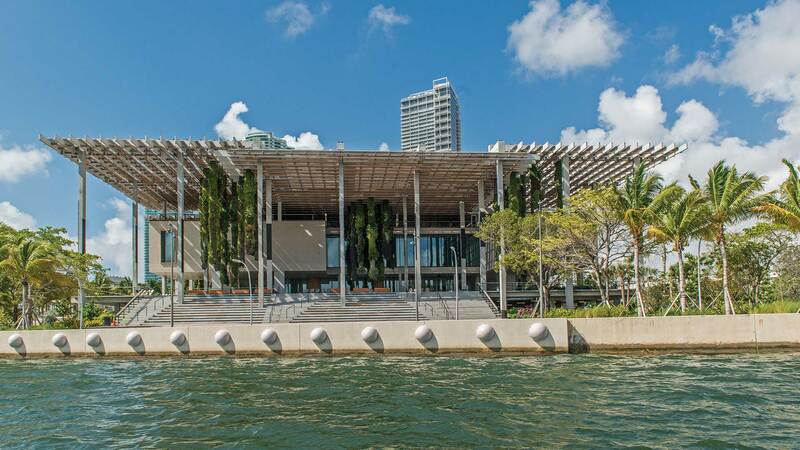 Modern and Contemporary Art Museum: 200,000 square foot museum development in Museum Park on the water in Miami designed by Pritzker Prize-winning architects Herzog & de Meuron with a modern exposed concrete design and surrounded by an ornate shaded trellis system and hanging gardens. 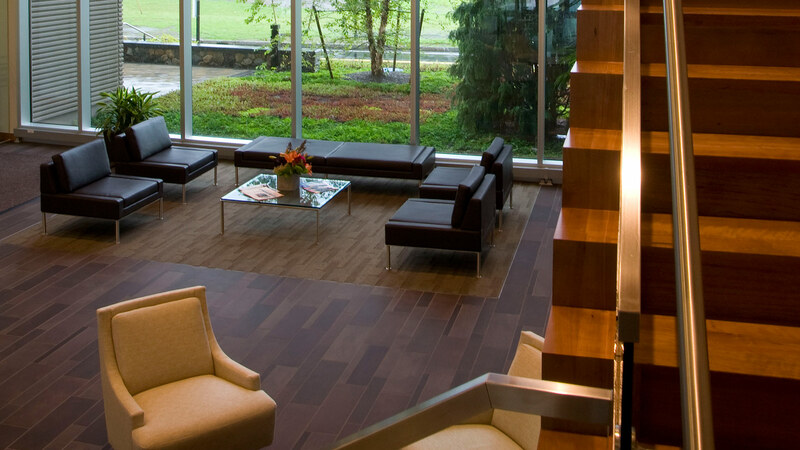 Corporate Headquarters: A 250,000 square foot corporate headquarters built for the Trip Advisor company. An expansive fitup package with a unique open plan design and aesthetic, the project included robust employee amenities such as a restaurant level kitchen service and dining room, 4 story gathering space atrium, full fitness center, game rooms, and outdoor space. Also housed onsite is Trip Advisor’s data center. Moriarty’s beginnings are rooted in the office market. 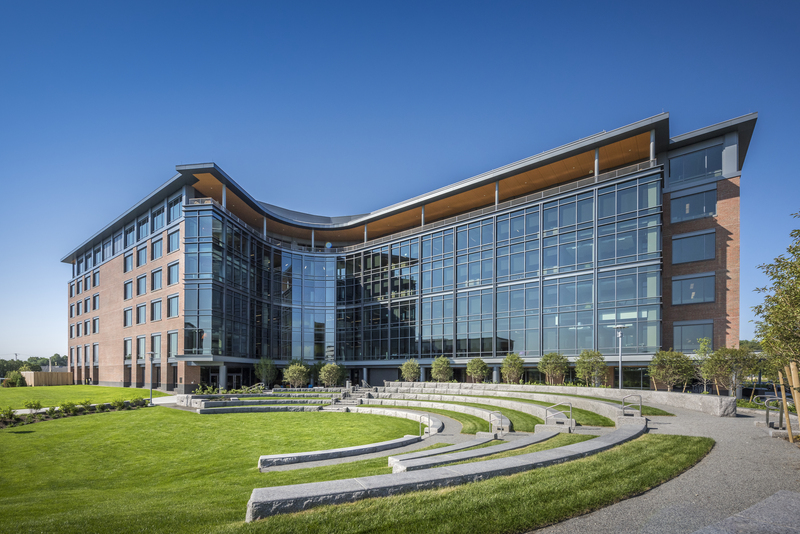 The firm got its start building suburban office parks at the fringes of the Boston metro area. From those modest beginnings, our office resume has now expanded to include some of the most highly complex urban office skyscrapers and multi-use complexes being built today. With our decades of experience in all types of office construction, Moriarty innately understands that our client’s ability to deliver a space to a tenant is directly related to our ability to finish on time and within budget. 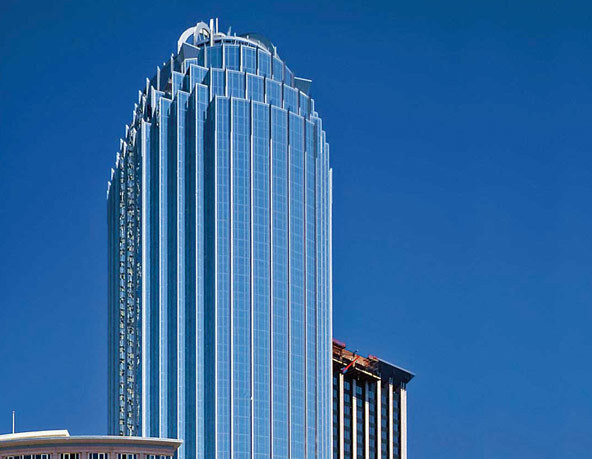 Moriarty specializes in constructing multi-family condominiums, apartments, and hospitality units in the Massachusetts, Florida, and DC Metro areas. We have successfully delivered a wide range of product types; from adaptive re-use to ultra contemporary design; from wood framed, modular, concrete, to steel framed. 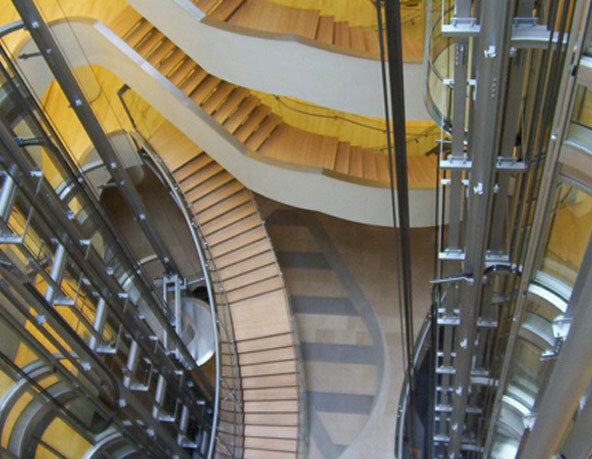 With our wealth of experience in successfully completing tens of thousands of units comprising all market types, we can offer invaluable guidance on market appropriate levels of finishes as well as structural and MEP systems and their associated cost benefits. 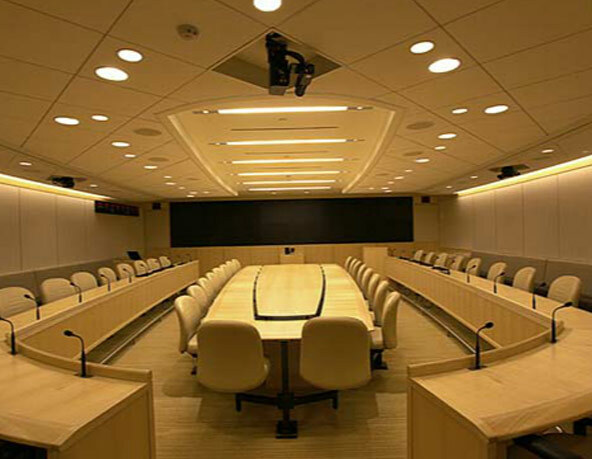 Moriarty has a long and successful record of building for institutional and academic clients. This experience includes university housing, academic research facilities, classrooms and teaching laboratories for the institutional and academic community. In addition, we have delivered several Fine Art museum projects designed by some of the world’s foremost design teams. 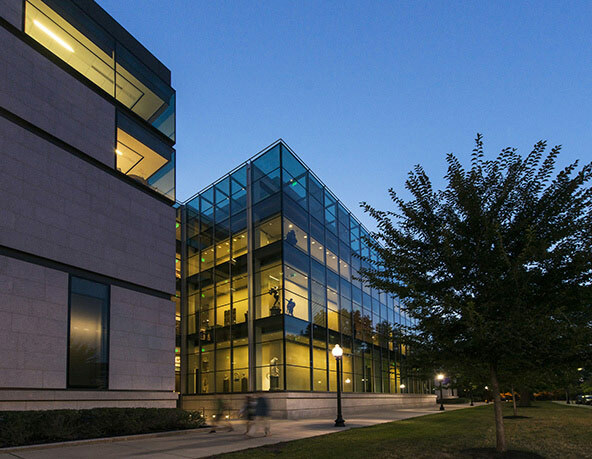 We understand that our institutional clients have a unique focus on long term value and longevity and we work to assist them in making the right decisions up front to create buildings that are meant to last and perform. Moriarty has successfully delivered more commercial office space than any of our competition. From multi story large square footage high-end space for some of the country’s most renowned financial firms to smaller suburban open office fitups, we understand the clients primary goals early and then tailor our approach to that which is best suited whether it be schedule or cost critical—or both—ultimately delivering on our promise of a predictable result. 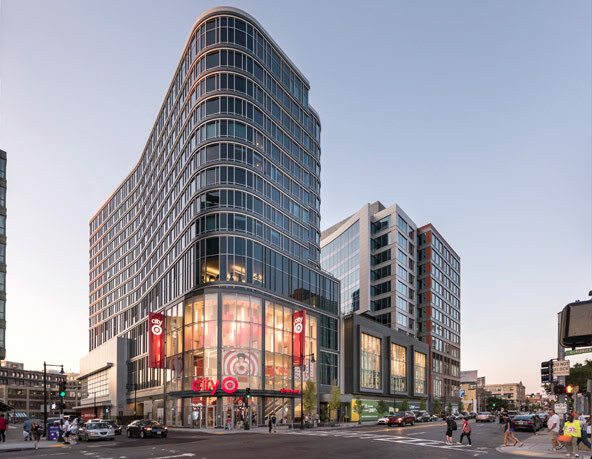 1,200,000 square foot development for Boston Properties consisting of Class A office space, 6 levels of below grade parking abutting the ocean, ground level retail and public space, and high end rental units in a painstakingly restored historic structure. The uncommon up/down construction method was utilized to meet the project’s tight schedule requirements. The building’s 15 floor anchor tenant, constructed by Moriarty, is one of the country’s most prestigious financial firms. 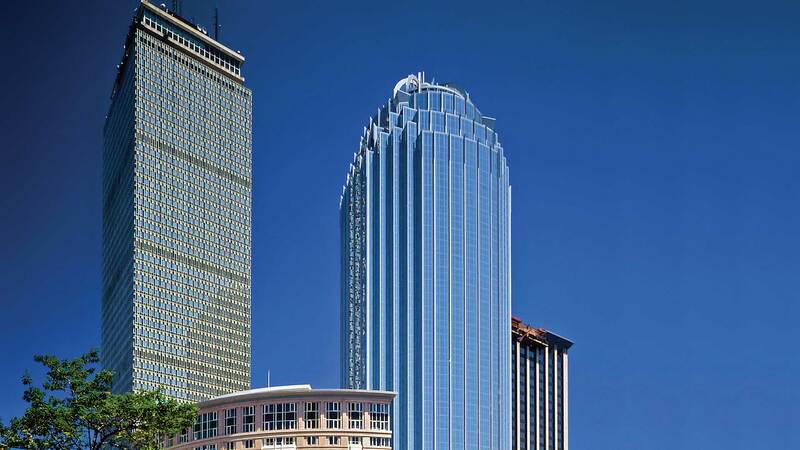 860,000 square foot iconic glass Class A Office tower in Prudential Center for Boston Properties including an expansion of the Prudential Mall with a structured public garden. 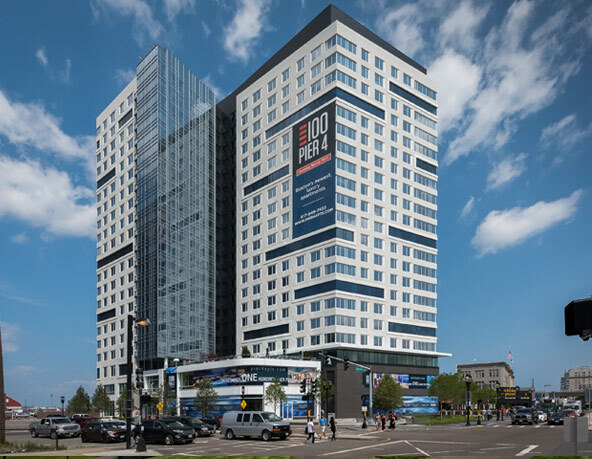 Moriarty performed the fitout work for nearly one dozen individual tenants comprising most of the leasable space in the building and delivered the majority of that space at the same time that the core shell tower was delivered. 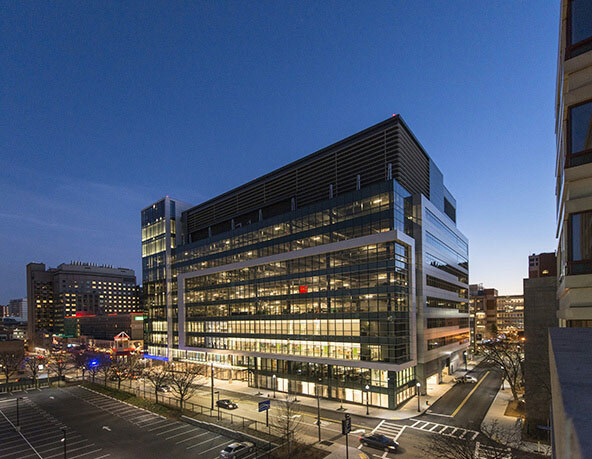 An 850,000 square foot urban multi use project adjacent to Fenway Park and built for Samuels and Associates. This project is built atop a three level below grade parking garage with two distinct towers - an office tower and a luxury apartment tower. 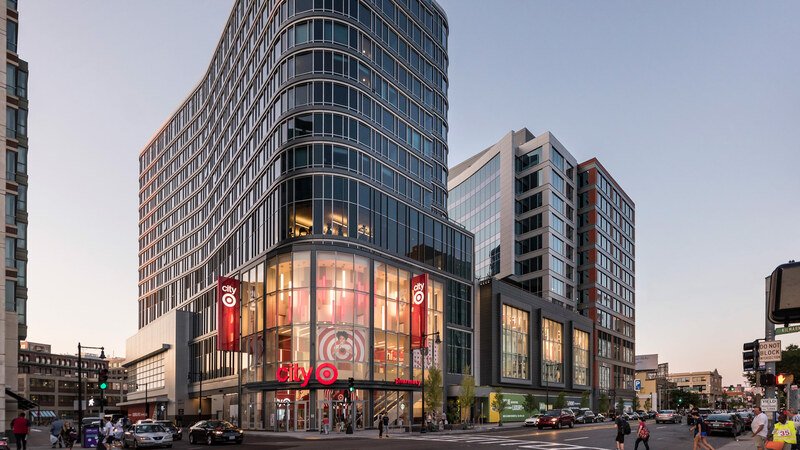 The towers sit on a retail podium with Target as the anchor retail tenant. A 200,000 square foot suburban office building for Davis Marcus with one level of below grade parking accompanied by an expansive site development. The project involved the demolition and repurposing of an old Polaroid manufacturing facility site into a Class A suburban office building in the heart of the metropolitan suburban office belt. It was one of the first projects of its type to receive LEED certification. 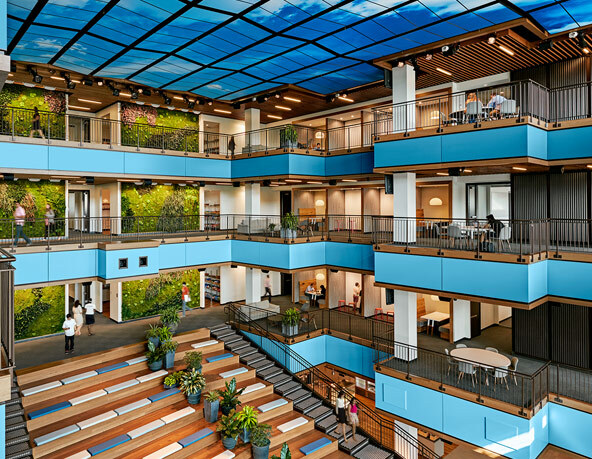 At nearly 300,000 square feet and 6 stories, this building redefined what a suburban office project can look like. Built for Normandy Real Estate Partners, with a highly articulated skin and unique exterior elements this building stands out from its neighbors. Also part of the project was a 1000 car above grade parking garage as well as completion of a campus master plan to accommodate future buildings. 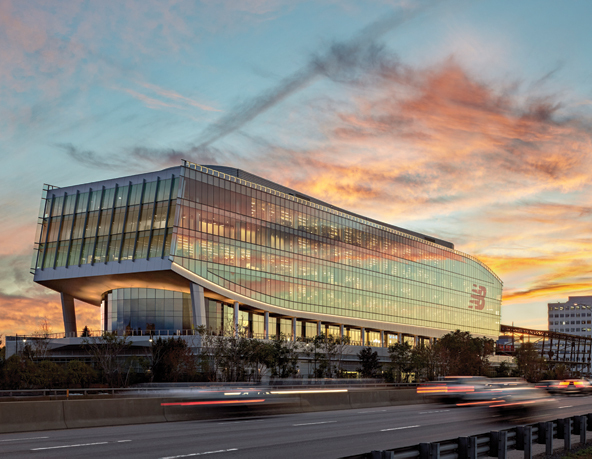 A 280,000 square foot new corporate headquarters for New Balance. 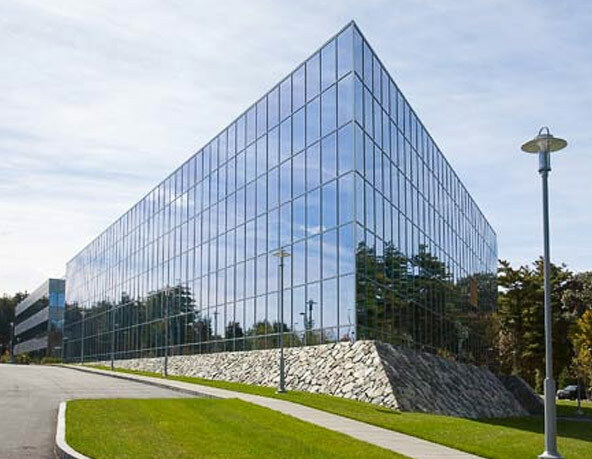 The building itself is a showpiece directly adjacent to the I-90 highway, the project also included a 500 car above grade garage and the fitup of New Balance’s office facilities. Ultimately the campus is intended to expanded to include state-of-the-art sports / training facilities. 4,500,000 square foot multi-tower development for The Related Group consisting of three 50+ story towers with 1800 high-end condominium units. 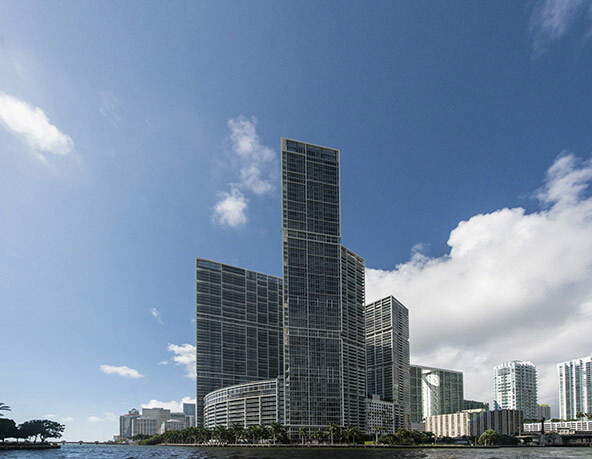 This veritable city on the water includes structured parking and 5-star amenities incorporating Phillipe Stark design. 660,000 square foot residential development for The Related Group consisting of 67 ultra luxury boutique units in an architecturally intricate building. 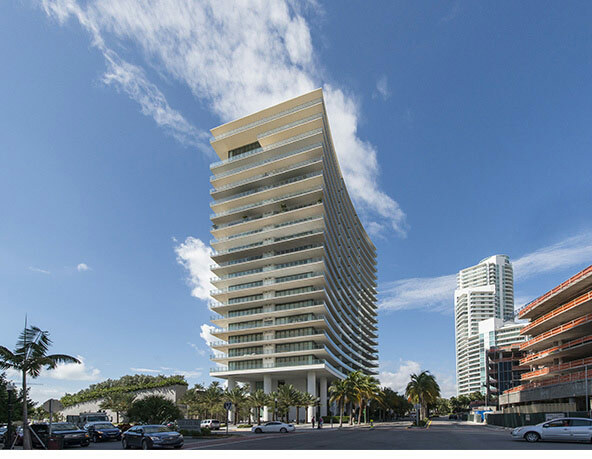 With wrap around cantilevered terraces, private climate controlled parking, and state-ofthe- art technology, this project brought a new level of luxury to South Beach. 300,000 square foot 13 story development for Kettler consisting of 233 rental units and three levels of underground resident parking. 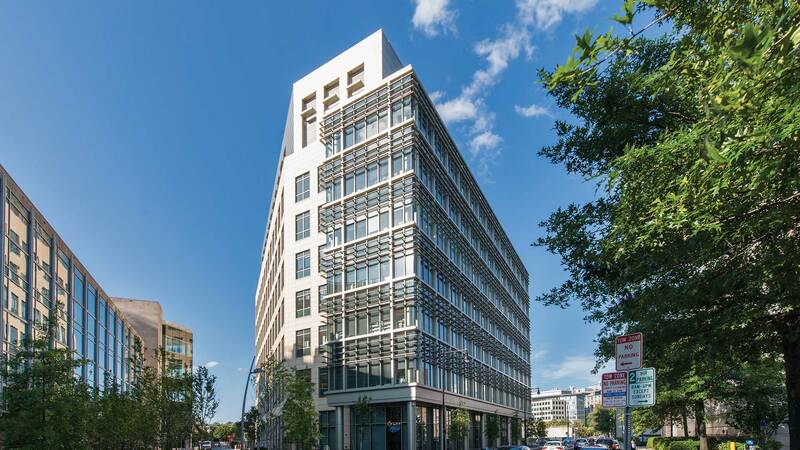 Enclosed in a traditional brick skin with contemporary highlights this building fits in to DC’s ongoing transition to a more cosmopolitan city and its efficient unit sizes and many amenities appeals to the area’s changing demographics. 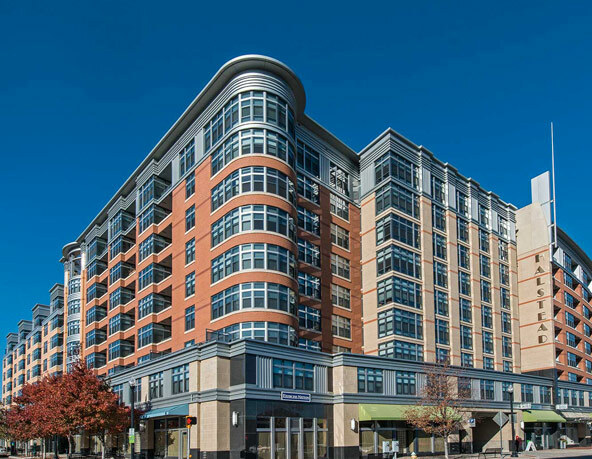 9 story 269 unit Art Deco cast in place urban high rise for the DSF Group in the bustling Northern Virginia commuter corridor with 3 levels of underground parking, ground floor retail, and luxury indoor and outdoor amenity spaces for residents near the Pentagon in the heart of the expanding DC metro area. 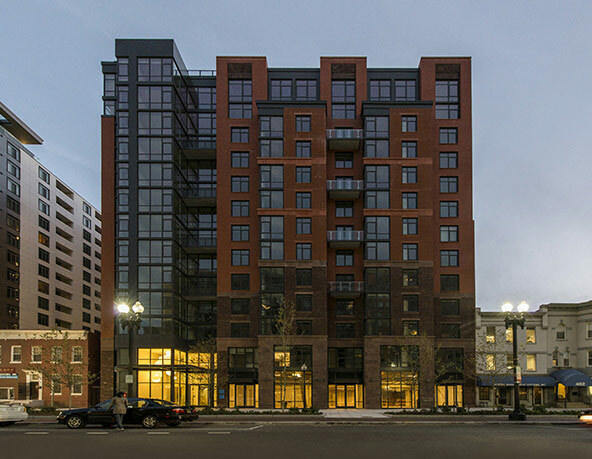 A 470,000 square foot 355 unit luxury apartment building in the burgeoning Northpoint neighborhood in Cambridge. 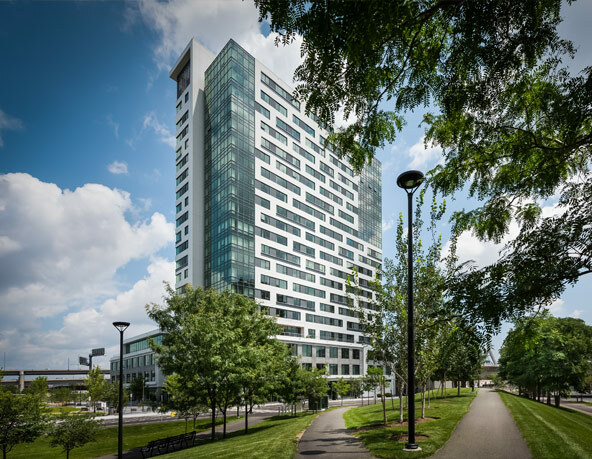 Built for HYM Investment Group, this 21-story building now stands prominently aside the I-93 commuter corridor into Boston. 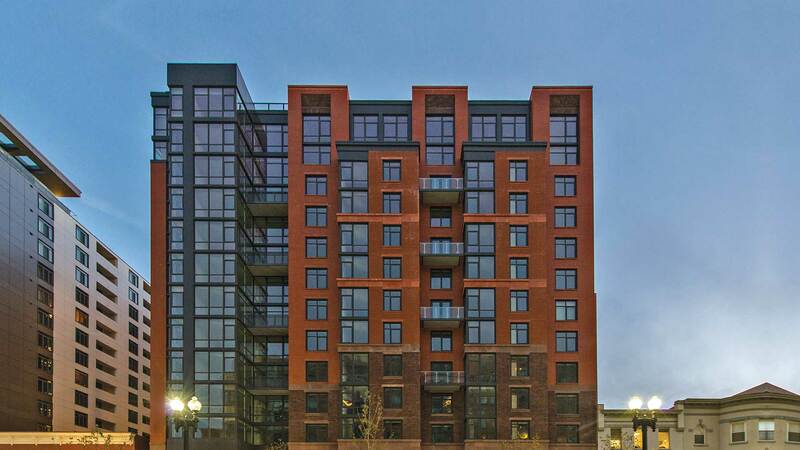 A 21 story 450,000 square foot apartment building with 3-level underground garage. 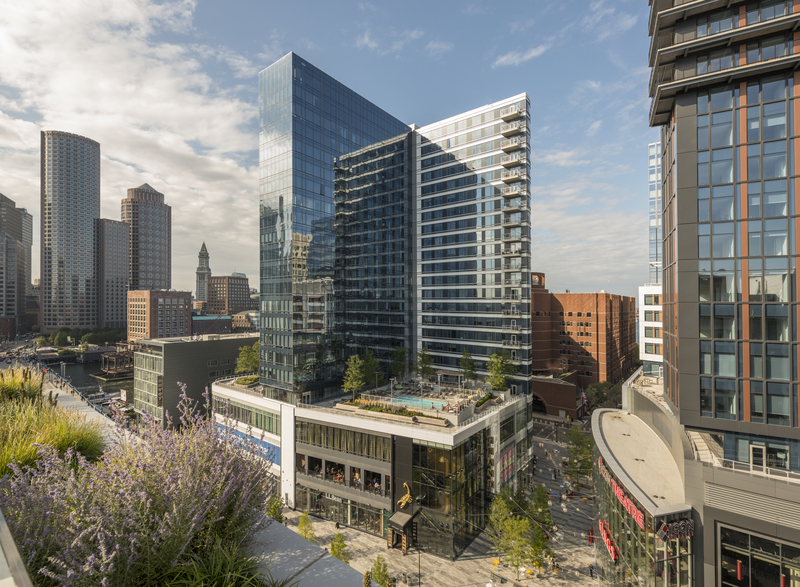 It was one of the first new projects delivered in the rapidly developing seaport district. Built directly adjacent to the ocean with three levels below grade, this project ultimately included 369 apartments with 260 below grade parking spaces with a high end amenity package and ground level retail and public site improvements. 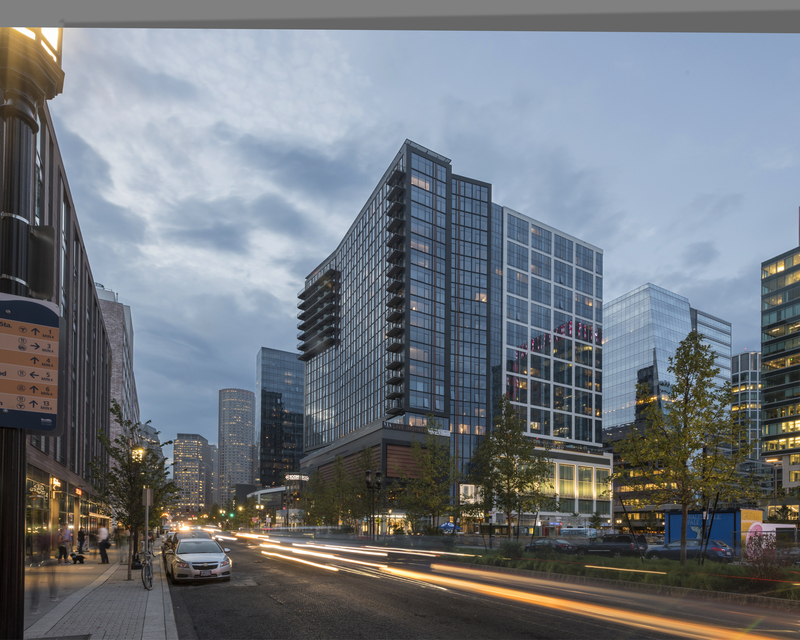 1.1 million square foot project in Boston’s Seaport District. Luxury high rise residential and retail development that will consist of 832 units in two towers (20-story and 22-story) on top of three stories of retail and three levels of underground parking. The project will contain 250,000 sf of retail, as well as 775 parking spaces. This project is expected to achieve LEED Silver Certification. 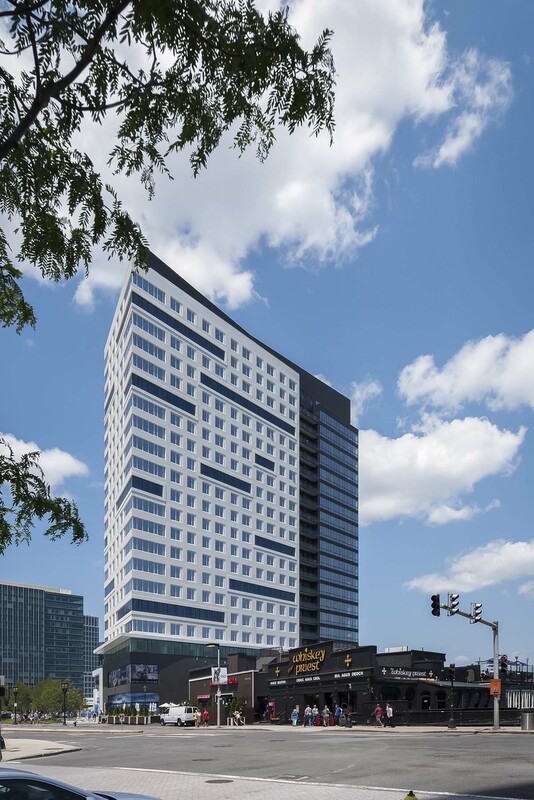 31-story mixed use tower in the Fenway area of Boston Program includes 109 condominium units, 240 rental units and over 20,000 square feet of street-level retail space. 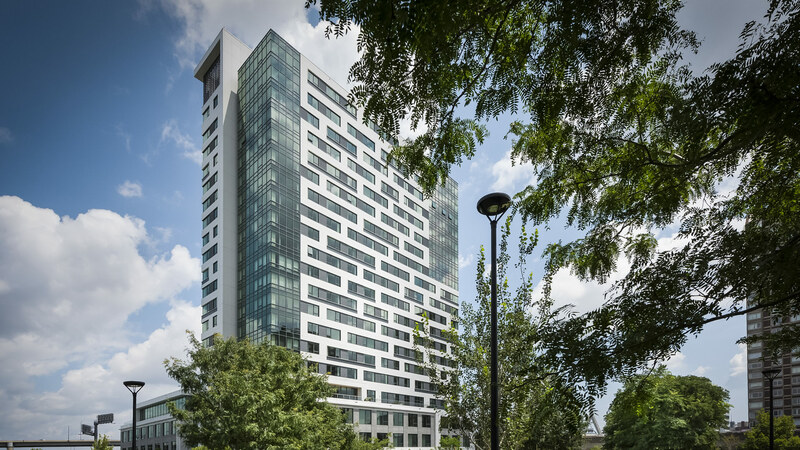 The building is designed to maximize 360-degree views of Boston, Cambridge, the Charles River, and the Emerald Necklace. 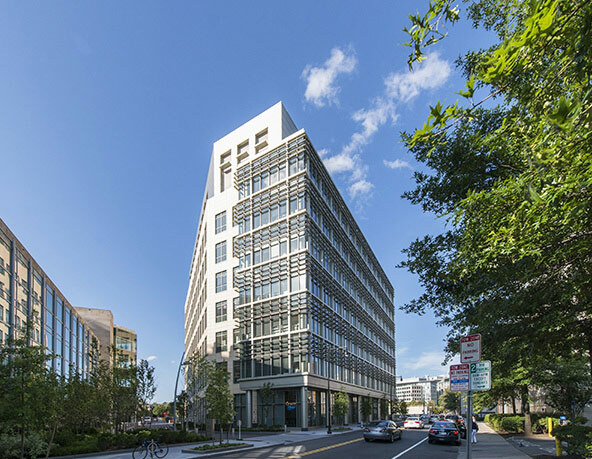 An exercise in sustainable design and construction, Pierce Boston is targeting LEED Silver status. 600,000 square foot development for MIT Investment Management Co in the heart of Kendall Square with 3 levels of below grade garage and 9 stories of state of the art lab infrastructure inside a terra cotta and custom curtainwall shell supporting a vivarium and biological research facility for Pfizer Inc.
600,000 square foot development in the center of Boston’s health care neighborhood with 3 levels of below grade parking and 11 levels of unitized curtainwall skin enclosing dense laboratory systems supporting Dana Farber’s cancer research. 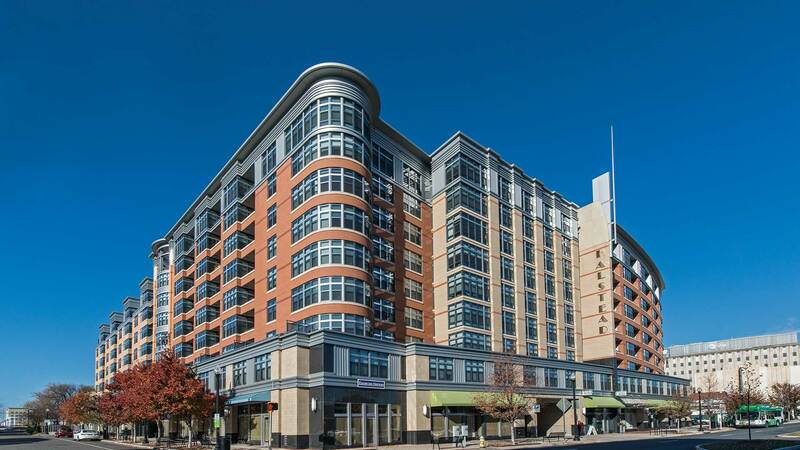 Up/up construction was utilized to achieve tenant occupancy as quickly as possible. A 450,000 square foot renovation and restoration that transformed the 100 year old historic NECCO Wafer candy factory into one of the leading pharmaceutical research and development facilities in the country. 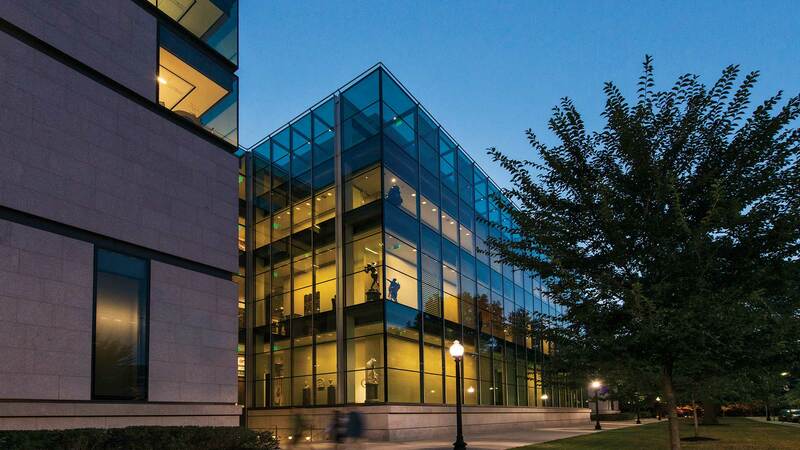 Built for DSF Advisors in the heart of the biotech neighborhood in Cambridge, the facility houses both chemistry and biology laboratories as well as both animal and fish vivariums. A new 500 car above grade parking garage was also completed. 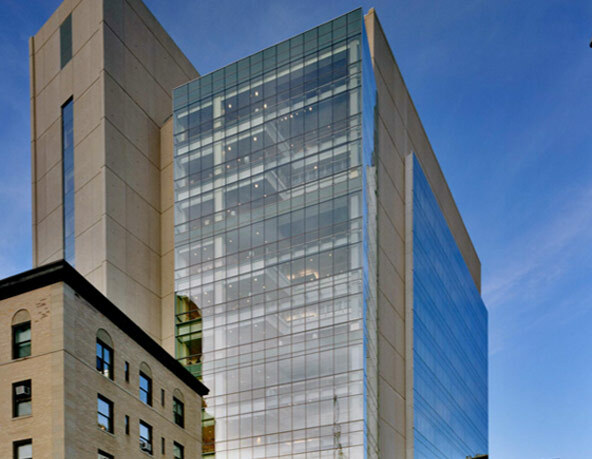 A 12 story 305,000 square foot biology research facility built for Children’s Hospital. Including two full floors of animal and aquatic vivariums, this project also included 5 levels of below grade parking with slurry wall foundations. 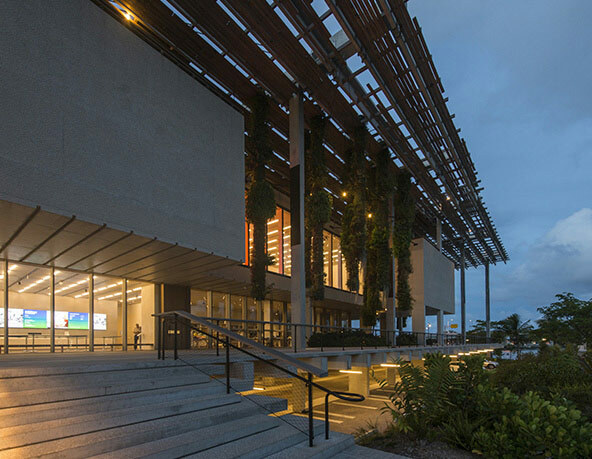 200,000 square foot museum development in Museum Park on the water in Miami designed by Pritzker Prize-winning architects Herzog & de Meuron with a modern exposed concrete design and surrounded by an ornate shaded trellis system and hanging gardens. 220,000 square foot construction of the new American Wing designed by the renowned Foster + Partners also included wholesale renovation and refurbishment of the original museum’s historic grand entrances and interior spaces. The custom glass exterior wall encloses a state of the art climate control systems and created a new four story jewel box feature atrium. 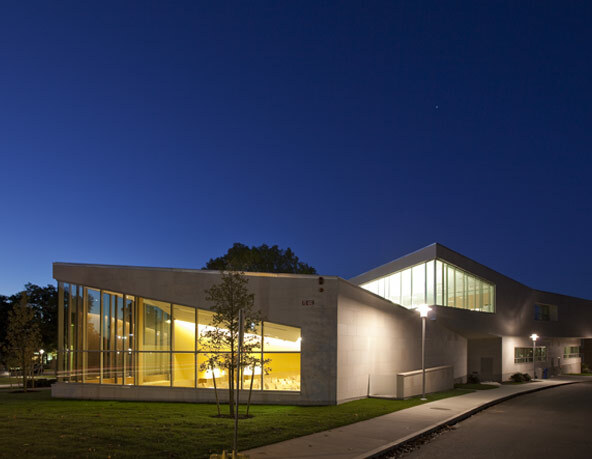 A 70,000 square foot mixed use boutique arts and media center for Lesley University in Cambridge, MA. 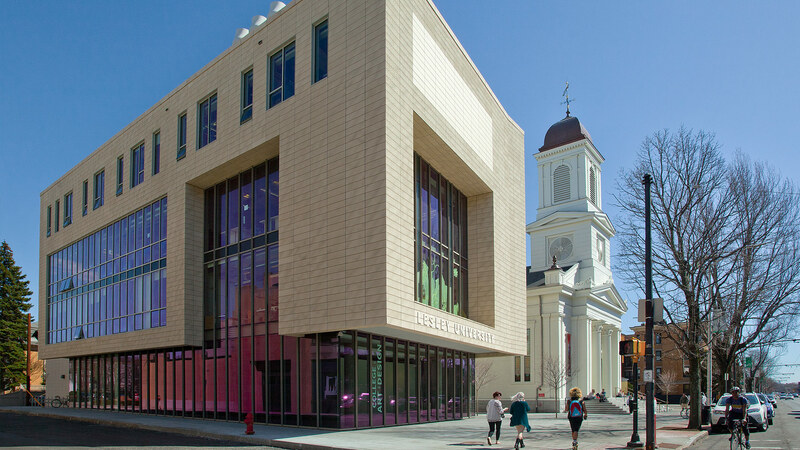 With no land available in congested Porter Square, Lesley moved and rehabilitated an existing historical church and incorporated it into their program. 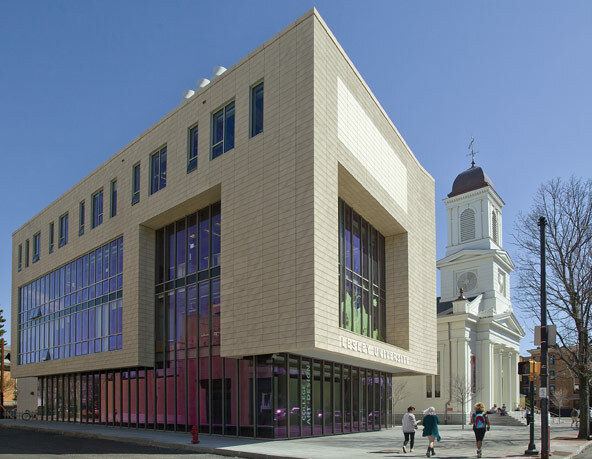 The building has become a new street side architectural feature in the bustling neighborhood and includes a robust MEP system to accommodate the many varied types of art and media used. 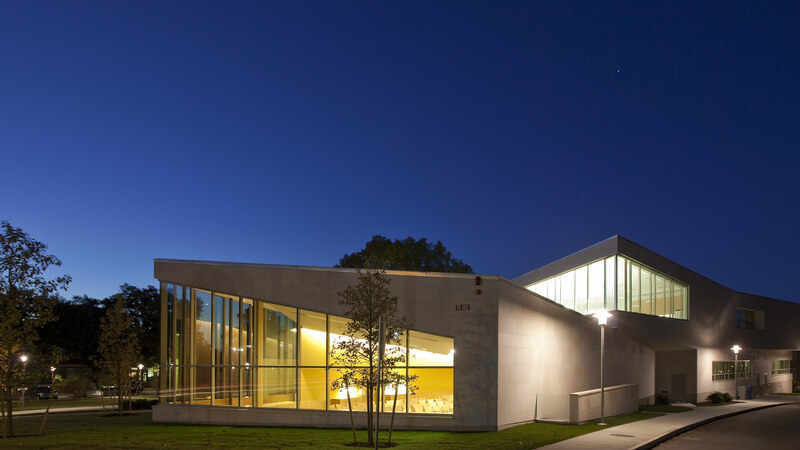 A new front door for all prospective students, this 22,000 square foot architectural jewelbox designed by Charles Rose architects fits neatly inside Brandeis’ compact campus and adds a unique architectural element. 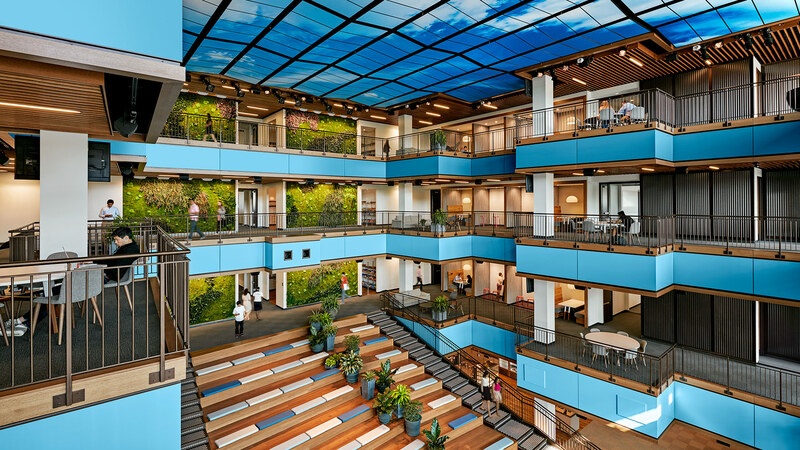 A 250,000 square foot corporate headquarters built for the Trip Advisor company. An expansive fitup package with a unique open plan design and aesthetic, the project included robust employee amenities such as a restaurant level kitchen service and dining room, 4 story gathering space atrium, full fitness center, game rooms, and outdoor space. Also housed onsite is Trip Advisor’s data center. 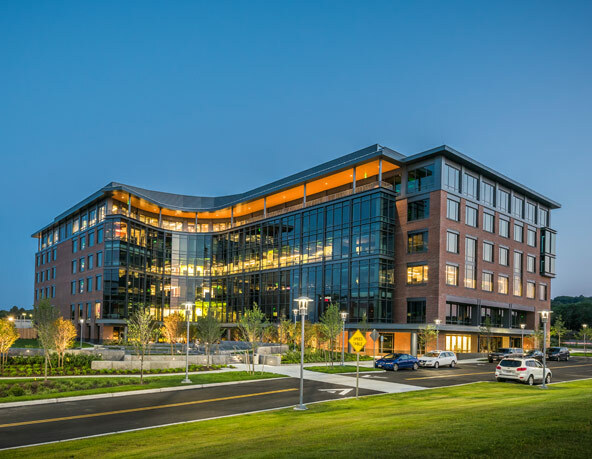 Located on the outskirts of Cambridge, Forrester Research is a 125,000 square foot office fitup in the Bulfinch Companies Cambridge Discovery Park office park. 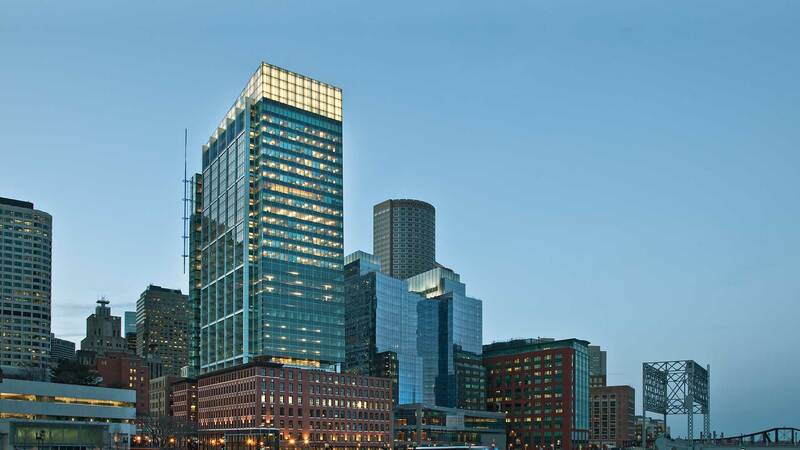 A 700,000 square foot 36 story office fitup at 1 Lincoln Street in the heart of Boston’s financial district. 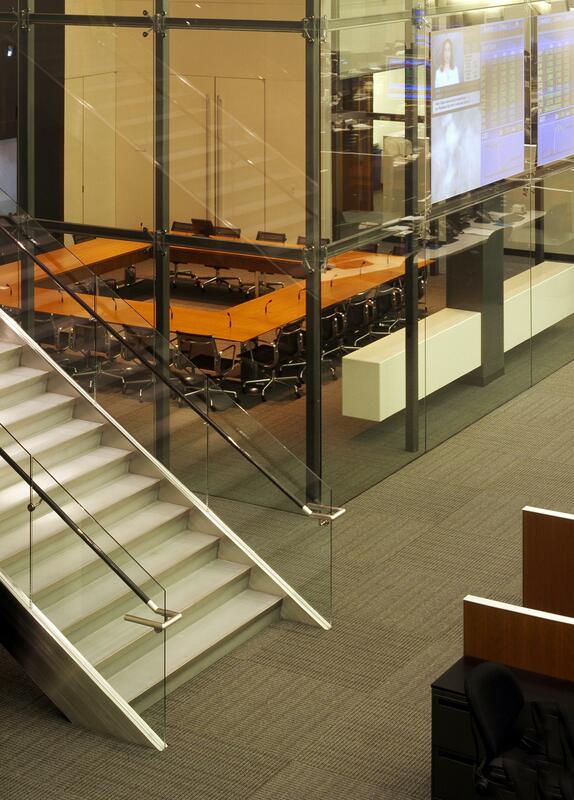 Beyond being the new corporate headquarters, the fitup also included a full floor trading floor. A first class environmentally friendly commercial fitup in the Atlantic Wharf tower for a financial management firm. It is anticipated that the fitup will achieve a LEED Gold Standard for Commercial Interiors. 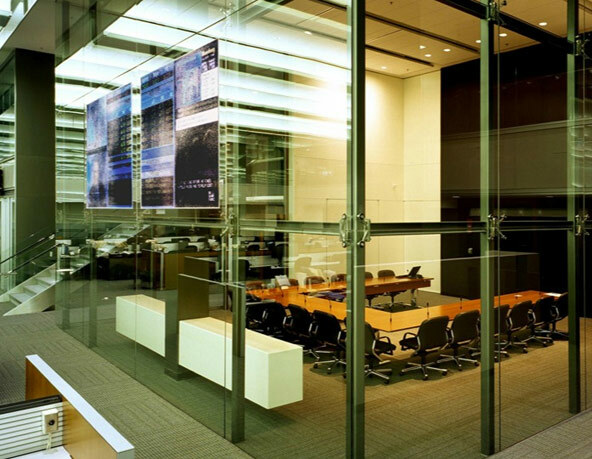 The space contains a 22,000 square foot trading floor as well as several large, tiered virtual conference/presentation centers. 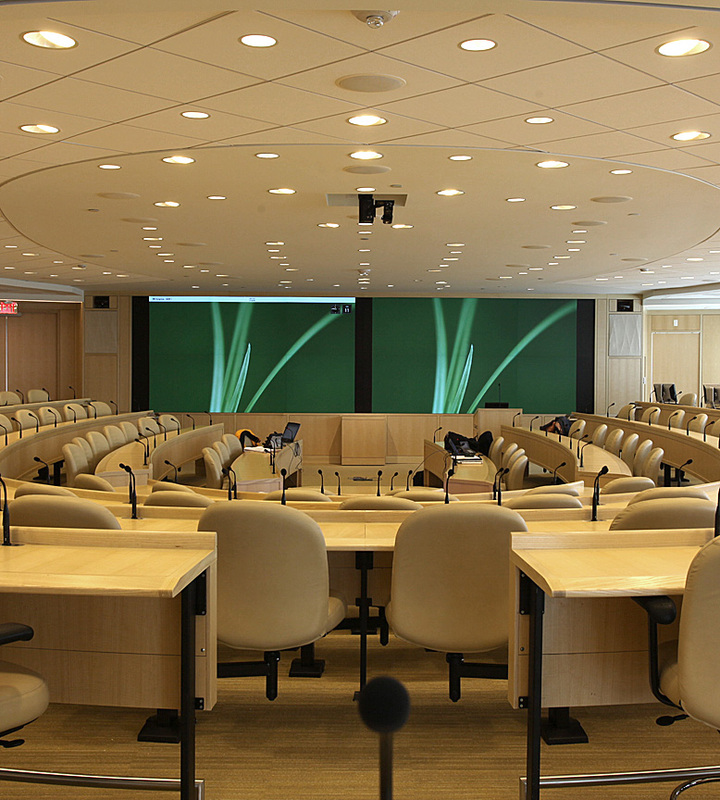 In addition to Class A friendly finishes and a sophisticated audio/visual system, the project includes an extensive emergency power distribution system with multiple redundancies to backup the client's trading and other critical operations.